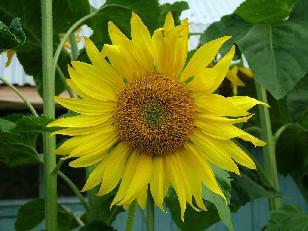 Botanical Significance: Sunflowers can be seen in a few instances in ancient Maya art. 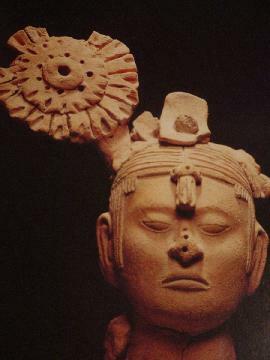 They may have been associated with the color of the sun, highly revered in Maya cosmology. Ritual Significance: Given the yellow color of sunflowers, and the fact that they are heliotrophic (follow the path of the sun), it is little wonder why sunflowers would have been intriguing to the ancient Maya. Seeds would serve as a wonderful source of food for the people and wildlife of the region. Members of the Compositae/Asteraceae family such as Calea zacatechichi and Senecio praecox have been used for teas, for hallucinations to curing rheumatism with the component pyrrolizidine being active. Another member of the Compositae/Asteraceae family, Tagetes lucida, is smoked with Nicotiana rustica to invoke visions.